After 2016’s themed release Basses Loaded (the album featured a large cast of guest musicians handling bass duties), the band returned this month with a double album called A Walk With Love and Death. The first disc, Death, is, by Melvins standards, a fairly conventional album. It features nine songs that explore musical territory familiar to fans of the band’s deep catalog: heavy, mid-tempo tunes with memorable guitar riffs and a thunderous bottom-end. While some tunes showcase yelping lead vocals, others — like “Edgar the Elephant” — display vocal harmonies that recall late-period Beatles. In between the short songs on Love are odd bits of “found sounds,” weird spoken-word bits and psychedelic audio experiments. As good as Melvins’ regular albums are, it’s this disc that’s really intriguing. “We recorded a lot of the stuff with really ambient techniques,” says Osborne. “On a couple of tracks, we would record to a microphone outside, and then record [other sounds] over that.” He points out that Death has some of this ambient material as well. “But you have to listen for it,” he says. Washington and Oregon have a long tradition of hard-edged, heavy rock, and rhythm and blues, from the Sonics and Paul Revere and the Raiders to Nirvana and Soundgarden. But Osborne bristles at the prospect of being labeled as part of that lineage. “There’s lots of crap bands up there too, so how do we explain that?” he asks. Besides, he points out, he left the region 35 years ago. “I’ve made the vast majority of my music since I’ve lived in California,” he says. 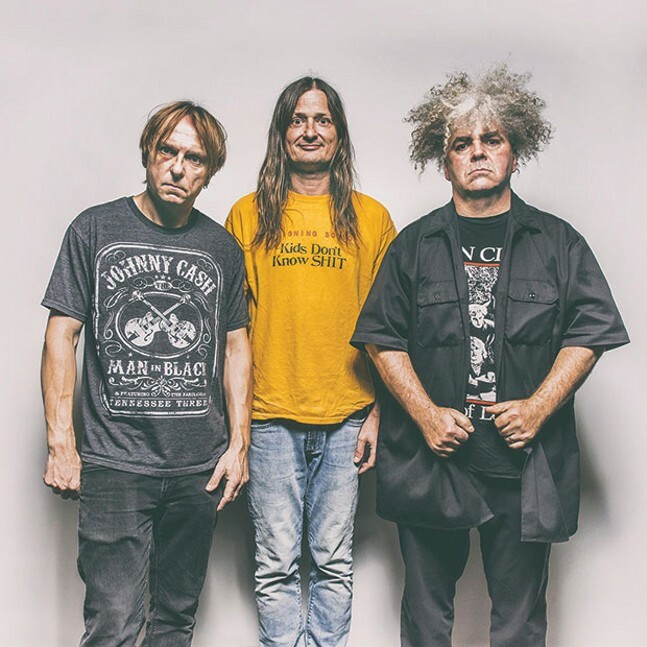 “So who do we blame for that?” Melvins are also defiantly outside the mainstream of the current music industry. In an era that focuses on downloads of individual songs, a sprawling double-album/soundtrack is cheerfully out of step with current fashion.